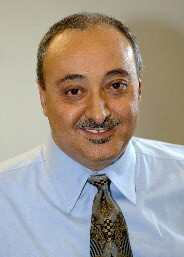 Yesterday, Crain’s Detroit Business reported that Ismael Ahmed, Founder and Executive Director of the Arab Community Center for Economic and Social Services, was picked by Michigan’s liberal Democrat Governor Jennifer Granholm a/k/a “The Governatrix Gran-HO” to head the State of Michigan’s Department of Human Services. Readers of this site are familiar with Ahmed because I’ve written a great deal about him. The former head of Jesse Jackson’s Michigan Presidential campaign, heads a Muslim-dominated agency that defrauds Medicaid by helping bring pregnant Muslim women from all over the world to America and giving them phony Social Security numbers to use so they can defraud Medicaid and have you–the taxpayers pay thousands of dollars to cover the deliveries of their babies. Plus the babies get U.S. citizenship. BUT, that she hired Ahmed to now oversee Michigan’s disbursements of Medicaid–now as the new Director of the Michigan Department of Human Services–is even more outrageous. Trite but true, it’s exactly like hiring the fox to guard the henhouse. It’s also disturbing because Ahmed’s agency used thousands of government job-training funds to train Al-Qaeda terrorists to get commercial driver’s licenses and hazardous material hauling certificates. Make no mistake. Michigan’s top Republicans aren’t clean in this either. Current Michigan Attorney General and Republican Mike Cox carefully waited until Muslim women defrauding Medicaid left the country before he issued bench warrants for their arrest. He did that, so he would never actually have to arrest them, interview them, and go after ACCESS and the other malefactors involved in this . . . and offend Muslims. He’s been vying for extremist Muslim Arab votes and believes they are the route to his becoming Governor when term-limited Granholm leaves office after 2010. He appeared on FOX News Channel’s “O’Reilly Factor” to gush all over himself for issuing these empty warrants and lied to Bill O’Reilly, claiming that the people who turned these women in were “Arabs,” themselves, “from the community,” implying they were also Muslims. In fact, none of them are–all Infidels of non-Arab extraction. And what’s worse, Cox issued the warrants, despite Justice Department requests not to, tipping off targets. (An incompetent, stupid former Assistant U.S. Attorney gave him the documents and information.) But rather than do the right thing for a proper investigation, he needed his time to shine in the “O’Reilly Factor” sun. After all, he wants to be Governor and, then, President. To date, Cox done nothing to stop the Medicaid fraud at Ismael Ahmed’s ACCESS, which continues and has throughout his five years as Michigan’s chief law enforcement official. He is as culpable as Granholm in the wholesale giveaway of U.S. citizenship and tax-paid Medicaid dollars in Michigan to those who–surprise! surprise!–share the same religion as the 19 hijackers of September 11th. Read more about Ismael Ahmed and his terrorist ties. And our Government is doing WHAT about this?? If it wasent for the city of Detroit and/or Unions I can’t imagine a lib Canadian like Granholm getting elected. Not to mention old liberals like Levin and Stabenaw. This state is pathetic. 1- Increase their numbers via the charitable-like distribution of visas by the State Department. 2- Impose their way of life and barbaric bloody cult gradually on our schools, universities and local communities. 3- Sue anyone who tries to stop their plot to take over America and turn it into a Caliphate. 4 – Call anyone “bigot” and “racist” and thus trying to prevent many U.S. citizens from reporting suspicious activities perpetrated by the Mujahedeen (fighters of Allah). 5- Buy politicians, local officials, police officers, the FBI, the ACLU, and any fifth columnist who is willing to sell and help destroy America for a few bucks. All this is happening under the reign of and the permission of the “compassionate conservative” republican administration of George W. Bush. Banning Islam will be the ultimate solution. In the meantime, some measures have to be taken, I posted them previously, here they are again. And I will keep reposting them because I think they are the best responses to the problem of Islam and the Muslims in America. 1 – Put a limit on all kinds of visas. Entrance to the U.S.A. must be controlled. Legal Immigration shouldn’t be as easy as it is right now. 2 – Visas shouldn’t be easily granted to Muslims. And better if they are not granted at all to them. Let us be blunt here. Yes, the State Department with the help of the FBI/CIA can find out who is Muslim and who is not. Only non-Muslim Arabs living in Islamic country have the privilege of coming to America. 3 – All borders must be completely sealed. 5 – Those Muslims who live in America and express hate towards this country must be asked to leave immediately, and be stripped from their citizenship. 6 – A system of street surveillance (CCTV) must be put in place all over the country, like Great Britain. Its sole purpose is monitoring, identifying the terrorists and, when possible, preventing terrorist acts. 7 – The citizens should not be afraid to be labeled “bigots,” “racists,” etc. If they feel, see or hear any suspicious activities, they should be applauded and rewarded for reporting them. There should be more encouragement from the government. Better be labeled “bigot” than being a coward and politically correct. Do not hand your country to the Muslims who, when in charge, will behead you. 8 – “Political Correctness” must be banned as a word and as an ACTION from these United States, i.e. that word must be as objectionable, as offensive, as vulgar as the “N” word. 9 – Any Media outlet that is trying to cover up or find excuses for the Islamic terrorists or for the Muslims living in this country who are attempting to abuse our system of government and our way of life, must be punished by changing the TV channel, not buying the newspaper, not visiting the website and not advertising in it. 10 – Do not vote for traitors. You know about it. The blood of the Infidels is shed everyday all over the Globe by “peaceful” Islam. You read about it everyday on this blog. It happens everyday all over America. In your city and in your neighborhood. The Muslims are using your laws and your Constitution against you. They are trying to impose their way of life on you, with, unfortunately and sadly, the help of fifth columnists. In case you didn’t notice, it is a matter of life or death. You do not have a third choice. It is up to you, citizen of these United States. The threat is real. Stop being delusional. 2- Bail out the water in the boat (your points regarding deportation of criminal or hate-inciting bedouin moooslims). BTW, #2 cannot happen before #1 !! 3- While we’re at it, throw out the insects (fifth columnists) that are boring more holes in the boat. They make matters worse, while pretending to “CAIR”!!!! I hope you like my summery. Please let me know what you think. Let’s band together to save this great country. THE BEST DARN PLACE ON EARTH!!!! Through the internet, the message boards, etc., by writing to the newspapers, calling the radio and TV shows (like C-Span for example), talking to the neighbors, at the church, the club, your family members and your co-workers. Heck, make yourself heard in a restaurant. Apply some of the 10 points-solution I posted, if you can. Most importantly, do not vote for traitors. Be independent in your thoughts and decisions. Forget about parties. Look for those who you think can save and protect this country from Islam. No politician is perfect, no one is rising to our expectations, but we need to make a statement at the polling places. Last names (like: Clinton-Obama- Giuliani-Romney-Thompson, etc.) shouldn’t be a criteria or an advantage. The politicians think just because they have star status, can take the voters for granted. Show them otherwise. In a nutshell, voters shouldn’t be like sheep. Let not the media influence your decision. Vote for the interest of your country, not the interests of a party or a politician. Debbie Schlussel is to be commended for reporting what nobody else is reporting. This development is beyond outrageous, yet increasingly, politicians are aiding and abetting those who are waging jihad against America in order to appease Muslim voters and seek their support for political gain. The corruption and incompetence of so many elected officials and their appointees runs wide and deep; I see that, inexorably, we are losing this war against those who would impose Shari’a upon us. Protest, scream, and expose – fight those who would sacrifice our country for short-sighted personal gain. Parenthetically, I am a strong believer in banning Muslim immigration for the following overarching reason: politicians solicit votes from groups of people, and such solicitations can, and often do, morph into pandering. Solicitation for votes increases with the size of the group involved. Thus, as the Muslim population increases, the more influential they will be in determining the outcome of elections. It should by now be clear that Muslims, on the whole, present a danger to America since many of them seek to transform our society to accommodate Islamic law and favor Islamic attitudes and perspectives. In extremis, there is a real wish on the part of many Muslims to jettison our constitution and replace it with Shari’a. The more willing politicians and government officials are to “reach out” to the Muslim electorate, the more the rest of us will be inconvenienced, at the least, and threatened directly, at worst. To prevent this, Muslims should never be allowed to become a political force to be reckoned with. But this is increasingly the case in areas of the USA where Muslims reside – and vote – in significant numbers. A web site called http://www.perspectives.com is a good place get the message out. I have to correct a post im afraid. I live in the UK, and we do not have cameras everywhere (I wish we did! )..there were a few but guess what ? You got it, the Muslims complained and the cameras were taken down…by our frightened policemen.